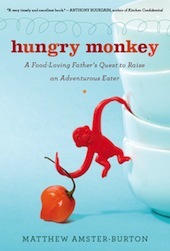 Also available at Ada’s Books, University Bookstore, and Elliott Bay Book Company in Seattle and, via special order, from your local bookstore. Tokyo is the city of skyscrapers and bullet trains, high-tech toilets and souped-up vending machines. 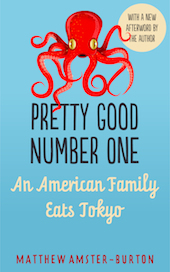 Tokyo is the city where, every morning, your neighbors pin underwear to clotheslines and the chef down the street nods hello as he strikes the head off a wriggling eel. 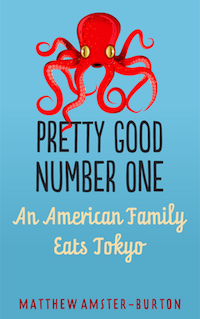 In Pretty Good Number One: An American Family Eats Tokyo, a Seattle family finds out what it’s really like to live and eat in this most exciting and misunderstood of places. Traveling to the world’s biggest city to live in a tiny apartment and ride overcrowded trains may not sound like your idea of a relaxing vacation.